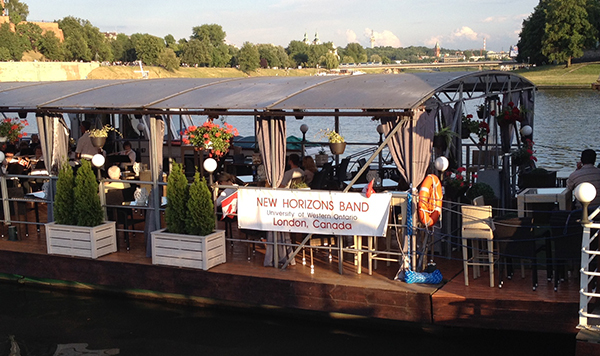 Some 35 members of the New Horizons Band toured Poland from July 2 to July 12, with stops in Wroclaw and Warsaw, to perform five free concerts. The trip marked the band’s seventh trip to Europe since 2005 and its first to Poland. 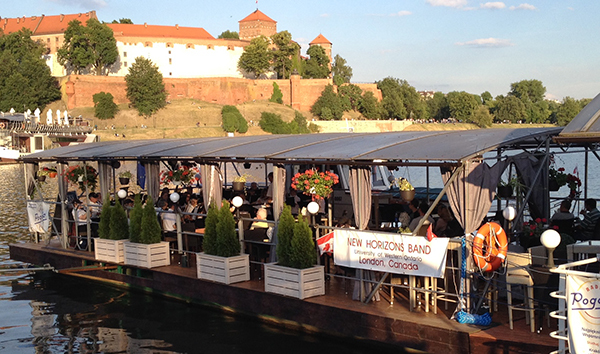 Pictured below are photos of the Band as they performed on a riverboat in Kraków, Poland during the trip. 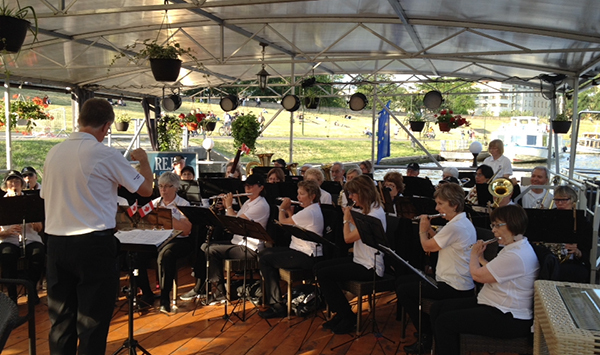 Photos courtesy of Mike Godwin (trombone).